IARMS collects research articles and/or information on Ryodoraku medical science all around the world. 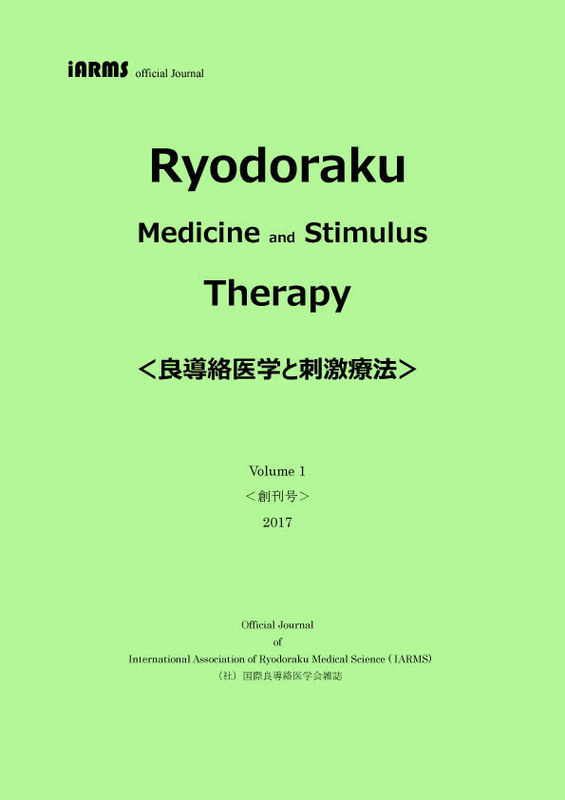 They will be posted on IARMS 's official medical journal "Ryodoraku Medicine and Stimulus Therapy". If you would like to publish your paper etc please submit / proscribe according to the following format. The official languages are English and Japanese. However, some Japanese are also possible, especially specialized terms etc. Please write all of the following articles in English or Japanese. However, ｄescriptions of articles are possible in Japanese, but please write abstract description in English. Please fill in the order of Author's information, Title, Abstract, Keywords, Introduction, Methods, Results, Discussion, Conclusion, Acknowledgments, References from the above submission form site. Please fill in the order of Author's information, Title, Abstract, Keywords, Introduction, Main theory, Conclusion, Summary, Acknowledgments, References (within 25) from the above submission form site. Please fill in the order of Author's information, Title, Abstract, Keywords, Describe signs, Symptoms, Diagnosis, Treatment of diseases, Clinical effects including Images and/or Statistical data objectively from the above submission form site. Please fill in the Author's information, Title, Describe Rare findings, Adverse reactions to treatment, Abnormal complications, Introduction of New hypotheses, Doubts about current theory, Personal influences and so on from the above submission form site.